Not everyone can win their fantasy baseball league this upcoming season, but you can ensure you have the best team name. Here are seven fantastic fantasy baseball team names for all you players looking for something witty. I personally can't stand listening to the guy when he's calling games, but love him or hate him, even I have to admit that Joe Buck's name makes for a great fantasy team name for those looking to subtly make their opponents know how they feel. Yasiel Puig is the perfect player to draft for all you South Park fans out there and not just because his name makes for a solid reference to the show. Puig has light-tower power and is looking to prove himself after being traded from the Dodgers to the Reds. Another great pop culture reference that you should use if you happen to land Joey Votto in your fantasy draft. He's not the base-stealing threat the name implies, but Votto still could steal the title for you. Ichiro Suzuki isn't playing anymore, but the name lives on. This flows off the tongue way too well not to be in the conversation. Do You Want to Build a Stroman? I apologize if "Let it Go" is stuck in your head once again, but this one's incredibly fitting for any Stroman owners looking for that witty team name to make them stand out. Plus, the guy plays north of the border where it snows on a regular basis. Need I say more? Jorge Soler hasn't exactly lived up to his top-prospect billing since being traded to the Royals, but this fantasy team name more than makes up for any shortcomings in his game. Outside of being a great play on words with Soler's name, it also involves a solid baseball term. 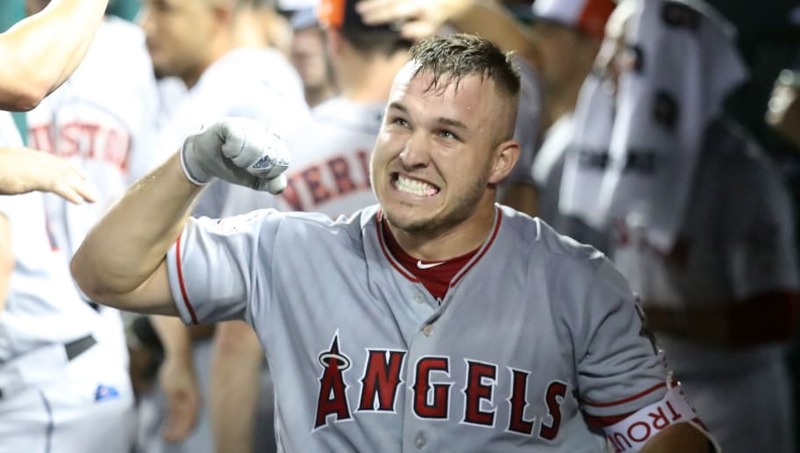 Mike Trout plays centerfield, plays for the Los Angeles Angels and his ability to rob batters of homers is on-par with the home run catch scene in the movie. I don't think you can have a more fitting team name if you're lucky enough have the Millville Meteor on your fantasy team.